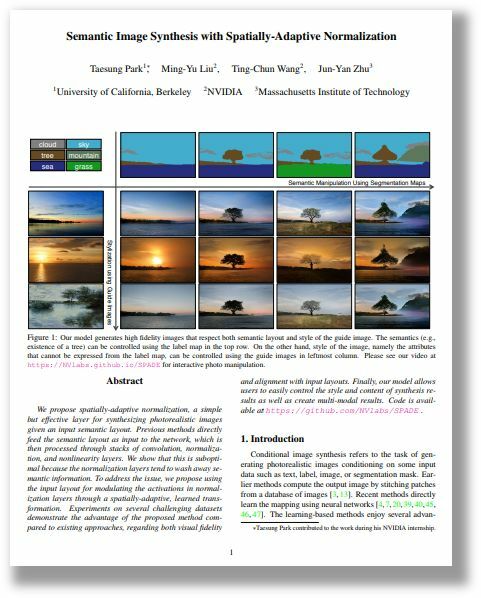 We propose spatially-adaptive normalization, a simple but effective layer for synthesizing photorealistic images given an input semantic layout. Previous methods directly feed the semantic layout as input to the network, which is then processed through stacks of convolution, normalization, and nonlinearity layers. We show that this is suboptimal because the normalization layers tend to wash away semantic information. To address the issue, we propose using the input layout for modulating the activations in normalization layers through a spatially-adaptive, learned transformation. Experiments on several challenging datasets demonstrate the advantage of the proposed method compared to existing approaches, regarding both visual fidelity and alignment with input layouts. Finally, our model allows users to easily control the style and content of synthesis results as well as create multi-modal results. SPADE outperforms existing methods on the COCO-Stuff dataset, which is more challenging than the Cityscapes dataset due to more diverse scenes and labels. 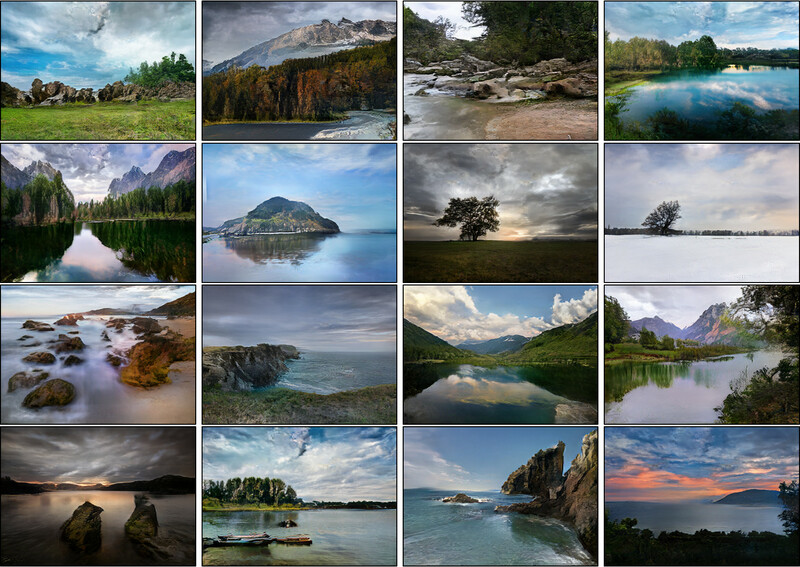 The images above are the ones authors liked. Please visit our github repo. We thank Alyosha Efros and Jan Kautz for insightful advice. Taesung Park contributed to the work during his internship at NVIDIA. His Ph.D. is supported by Samsung Scholarship. V. Dumoulin, J. Shlens, and M. Kudlur. 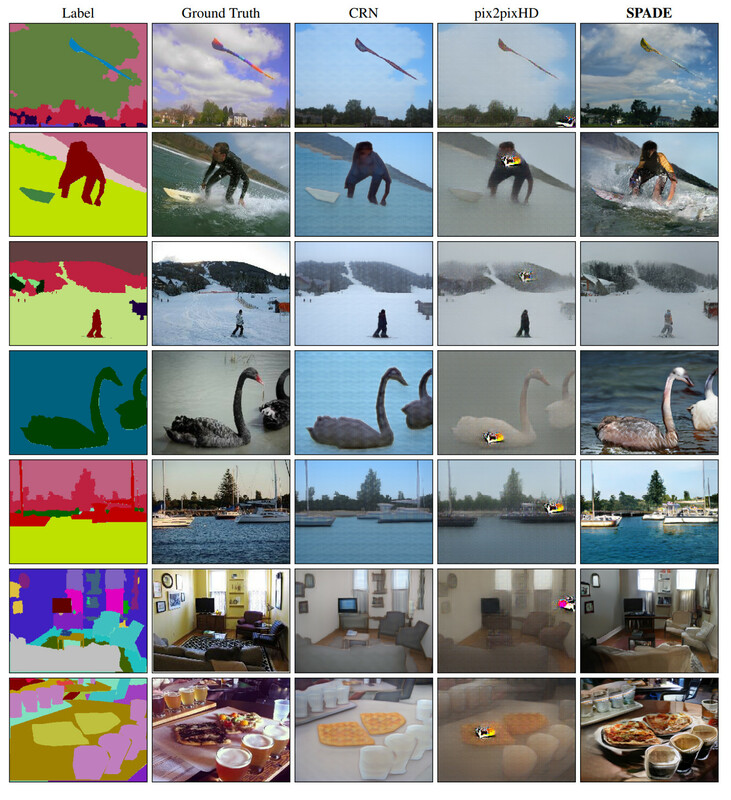 "A learned representation for artistic style", in ICLR 2016. H. De Vries, F. Strub, J. Mary, H. Larochelle, O. Pietquin, and A. C. Courville. "Modulating early visual processing by language", in NeurIPS 2017.